Robert E. Craven is the firm's proprietor and lead trial attorney. Since the founding of Robert E. Craven & Associates, Bob has handled hundreds of personal injury, criminal defense, DUI defense, and medical malpractice cases. Attorney Craven's experience as a former prosecutor makes him uniquely equipped to bring any matter to trial – an increasingly rare skill today. Bob regularly brings both criminal and personal injury matters to trial to get the best results for his clients. Bob began his legal career as an Assistant Attorney General for the State of Rhode Island from 1983 to 1992. During that time, Bob served as lead trial lawyer and Chief of the Public Corruptions Unit. Thereafter, Bob was named the Town Solicitor in Foster, RI (1998-2004), and currently is the Town Solicitor in Charlestown, RI (2007-Present) and Assistant Solicitor for East Providence (2008-Present). Attorney Craven also served as Legal Counsel for the Rhode Island State Board of Elections from 1995 – 2001. 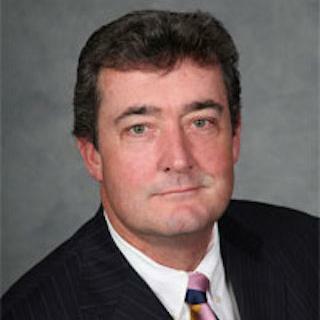 In his 30+ years of experience, Attorney Craven has developed a vast legal expertise. While Bob most regularly handles personal injury, criminal defense, DUI defense, and medical malpractice cases, he also handles many other legal matters. His areas of practice also include: general litigation, tax law, probate and estate planning, state administrative appeals, land use and zoning and product liability.